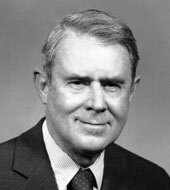 Cyrus Roberts Vance was appointed Secretary of State by President Jimmy Carter on January 21, 1977. He entered his position on January 23 and resigned on April 28, 1980 in protest over President Carter’s decision to attempt a military rescue of American hostages in Iran. Vance attended Yale University, earning a B.A. in 1939 and continued on to Yale Law School, earning his J.D. in 1942. After receiving his law degree, Vance served in the Navy until 1946. He practiced law at a New York City firm for the next decade and then entered government service in the late 1950s. During the 1960s, Vance rose through the ranks of the Department of Defense. He served as Secretary of the Army under President John F. Kennedy, gaining his first experience with human rights issues when the army was used to enforce the integration of the University of Mississippi in 1962. In 1964, President Lyndon B. Johnson made Vance the Deputy Secretary of Defense. Although an early supporter of U.S. action in the Vietnam War, Vance later came to oppose it, urging President Johnson to withdraw U.S. troops from Vietnam. In 1968, Johnson appointed Vance as a delegate to the Paris peace talks and in January 1969, Vance received the Presidential Medal of Freedom. During the early 1970s, he returned to practicing law while also becoming a member of the Trilateral Commission, a private organization founded in 1973 to create closer cooperation among Americans, Europeans, and Asians. In 1976, a fellow Trilateral Commission member, President-Elect Carter, asked Vance to be his Secretary of State. Vance emphasized negotiations over military confrontation during his tenure as Secretary of State and shared with President Carter a belief that human rights should be a central tenet of U.S. diplomacy. Within his first months of entering office, Vance worked diligently on arms control issues with the Soviet Union and sought a comprehensive peace agreement between Israel and its Arab neighbors. Although his initial efforts bore no immediate fruit, over the course of the next two years, Vance helped negotiate the Panama Canal Treaty, which would relinquish U.S. control of the canal zone; the Israel-Egypt Peace Treaty, the first peace treaty between Israel and an Arab neighbor; the restoration of full diplomatic relations with China; and a settlement among political factions in Zimbabwe that allowed for majority rule. In 1979, Vance grew frustrated as President Carter appeared to move toward more confrontational policies, disregarding Vance’s advice on several issues, including how to handle the political crisis in Iran that led to the Shah’s ouster and the creation of the Islamic Republic of Iran. During this political turmoil, Iranian student militants seized the American Embassy and took its staff hostage. After President Carter ordered a rescue attempt to free the hostages in the spring of 1980, an attempt that ultimately failed, Vance decided to resign because he believed a military operation would be in vain and would damage the negotiations he had been working on to win the release of the hostages. Although Vance returned to private law practice, he frequently found himself drawn back into a foreign policy role and served on several diplomatic missions, most notably as the United Nations Special Envoy to Bosnia in 1993. Vance died in early 2002.